This is a video post which was produced by AARP formerly the American Association of Retired Persons, which is a United States-based non-governmental organization and interest group, founded in 1958. 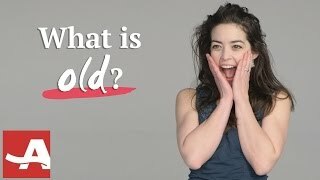 In this video, they ask Millennials “what age is old” and to my dismay I am consisted old. Then they ask the younger generation to show them how these “old” people would act out certain actions. The one that is closest to realty is how we would send a text, but others are amazing in the lack of perception. After they act out a certain task, they have an older person perform the action and the interaction between the age groups helps the younger generation understand the senior citizens better. They then update their opinions on “what is old”? Hopefully educational for all.